Increase energy-efficiency and product yield with dynamic direct-drive motion attuned to the requirements of each forming process on the production line. To design and build state-of-the-art press applications, manufacturers need to optimize the stroke rate of the press itself as well as the infeed and transfer machine units in front of and behind the press. True differentiation and a competitive advantage in press forming and forge systems can be achieved through higher throughput, greater process flexibility, superior precision, and lower energy and maintenance costs. All of these qualities depend on precise, efficient, highly dynamic motion attuned to the functional requirements of each material forming subsystem. Whether converting an existing press forming system from hydraulics to servo technology, or designing a next-generation system from the ground up, press forming and forging innovators look to Kollmorgen for unrivaled motion expertise and a virtually unlimited selection of direct-drive servo products to perfectly meet the needs of each motion requirement. Press forming peripherals such as coil feed, transfer units, drawing cushions and destackers are all crucial to the quality, reliability and throughput of the overall press forming process. 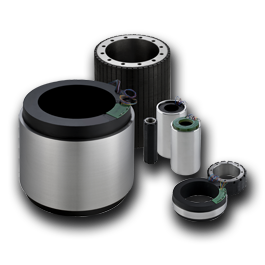 We can help bring compact, precise, powerful motion to each of these components, while minimizing mechanical wear, maintenance and energy consumption. 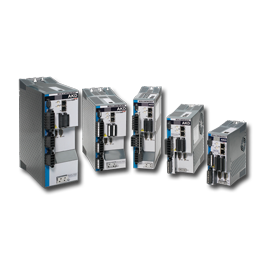 Our servo technologies and motion control programming solutions allow for precise stroke profile adjustment to make motion as efficient as possible while delivering all the power and force required for each operation. The efficiency of direct-drive, along with the ability to share energy between all drives via a DC bus, minimizes electrical peaks and increases the energy-efficiency. Direct-drive technology also simplifies machine design for better performance over a longer life – without the need to maintain hydraulic systems or replace unnecessary transmission components that can wear over time and introduce excessive backlash and compliance into the system. Existing hydraulic-driven presses can also benefit from all these improvements. 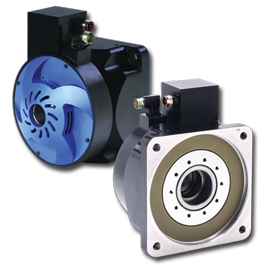 No one has more expertise in hydraulic-to-servo conversions than Kollmorgen. We provide fully configurable, perfect-fit solutions that lower operating costs while improving system accuracy. With local co-engineering assistance, rapid prototyping, and global manufacturing and distribution, we’re the ideal motion partner for press forming and forging systems that deliver superior capabilities and long-term value.